People are the puzzle that you need to solve in order to make a dent in the universe. You need to seek out and collect insights about people and their behaviors if you want to build stuff that people need and want. Humans aren’t entirely predictable. But they’re not entirely unpredictable either. In your (western) kitchen, you likely have a lot of disposable and semi-disposable plastic tubs and bins for storing food. You might keep them in a drawer or a cabinet and reach for them to put away leftovers or pack your lunch or a kid’s lunch. And I’m going to guess that the bins and lids are a mess. It’s hard to keep this drawer organized, much less tidy. And this was causing the manufacturers some pain. Because people found this frustrating. As a result, they didn’t buy as many of the bins. The people who develop and sell these products hired some anthropologists to go into the field, into people’s houses, and got families to open the drawer or cabinet in their home and show and talk about this small, but very real, problem. You see, humans are somewhat predictable. This is nifty solution to the problem people faced. 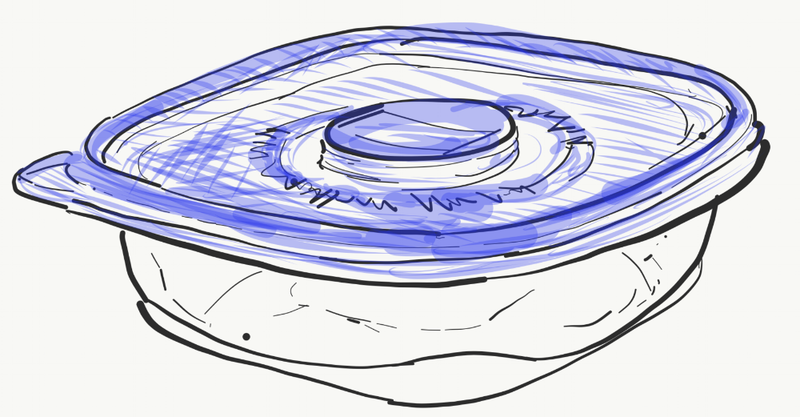 The team created a stackable lid, which connects the lids together. It’s a partial solution, but it helped grow the category from $900m in 2000 to $5.5 billion in 2015. Improving how products are stored matters. Products aren't just instrumental — they're also meaningful. A messy drawer means something to a mom's or dad's identity. The fact that humans are ‘somewhat predictable’ is the source of many frustrating moments, but also the source of great opportunity to build new stuff. If people were fundamentally predictable, advertising and marketing could be perfected. The world would look different. Businesses would succeed forever. There would only be one religion, and one governmental system to cover all human needs and desires. If humans were predictable, Helpfully wouldn’t need to exist — you don’t need assistance if you can follow what others have tried and proven in the past (and it’ll work again tomorrow). On the other hand, if people were ultimately unpredictable, advertising wouldn’t work, and businesses wouldn’t last. Institutions like countries, cities, companies and churches wouldn’t survive over time. Conversation would be unsatisfying. Nothing would be funny, since humor is about a shared experience. You’ll agree that neither of these extremes is correct. The challenge — and opportunity — of innovation is to create (or improve) your product inside of the messy 'unpredictable predictability' of real life. Your job as an innovator, a creator, a startup founder or change-agent is to understand people. You need to figure them out — what drives them and what inspires them and what they need in a given moment. And then you give it to them. And then you win. Well, that’s probably too simple. But we’ll come back to that in a later discussion. But understanding people is a tall order, isn’t it. It’s only been the entire project of all sciences since the beginning of time. Explaining why people do what they do is hard. Over the next few weeks, I’ll show you key lessons from each field and how you can better understand people so you can build the tools and experiences they want. Without recreating an entire college course or text book, I’ll give you clear ’how to’ guidance on what the field says about people. We'll present key frameworks and methods, and sketch out how to use these methods in your design research. Get ready, it’s going to be fun!